WHY: Based on outstanding performance, Dawn has risen to become the Regional Manager of our Sales team across 3 office locations and the entire APAC region. WHY: Started with Inform as an accountant 9 years ago. Today she runs our Manila office which has over 120 members of staff. Jenny is also responsible for Inform’s regional business in APAC and its clients. WHY: She was the first Inform Group Singapore employee and in the beginning worked remotely from a home office. Over the last 3 years, she has been instrumental in establishing our business in Singapore, opening up an office, which is now our thriving Singapore office, building up our team and a successful portfolio of clients. These fabulous ladies are a selection. 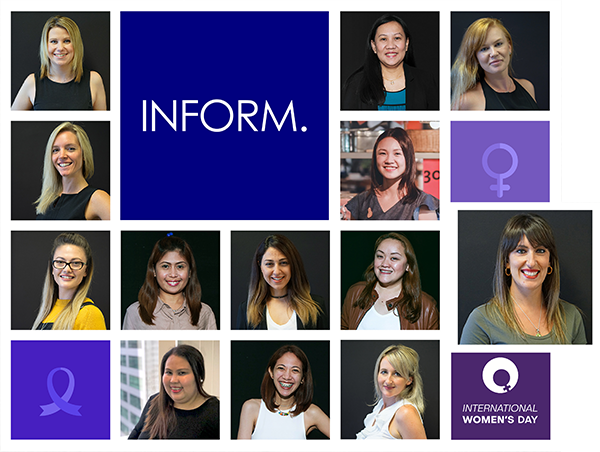 Inform has many successful women who make the difference to both our business and Inform’s clients day in day out. Congratulations to all our woman in Business, we were proud and keen to make a noise about this for international Woman’s Day. We are dedicated to supporting all kinds of great causes. Working with a range of Not-For-Profit clients enables us to participate in many fundraising activities and give insights into areas which require support. 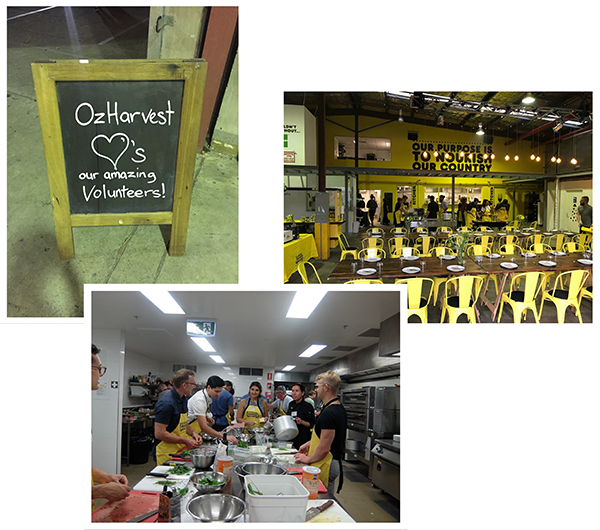 One event, in particular, stood out for us here at Inform and that was ‘Oz Harvest’. To anyone reading who is not aware Oz Harvest collects quality excess food from more than 2,000 commercial outlets and delivers it, direct and free of charge, to more than 900 charities across the country. That’s amazing, right? We helped out in ‘Cooking for a Cause’ and produced a total of 330 meals, which were delivered to an agency that provided community housing and social assistance to those in the Inner West of Sydney. This event not only enabled us as an organisation to ‘give something back’ but gave us an opportunity to spend time together as a team. We are big advocates of team building as we strongly believe incorporating teamwork into your company culture creates the building blocks for success. We are always looking for recommendations so if you or your organisation recently participated in anything that stood out in your mind it would be great to hear from you! With Easter fast approaching we have decided to run a competition with the chance to get your hands on a gift in time for Easter. We have placed an Easter egg on a specific page of our website, whoever locates the Easter egg has a chance at getting their hands on a fantastic prize. WINNER WILL BE ANNOUNCED WEDNESDAY 4TH APRIL 2018. Thanks for taking a look at some of the things we’ve been up to in the last couple of months. If you’d like to talk to us and see how we can help or get involved please please give us a call on 02 8222 8222 or simply drop us a message using the form below.